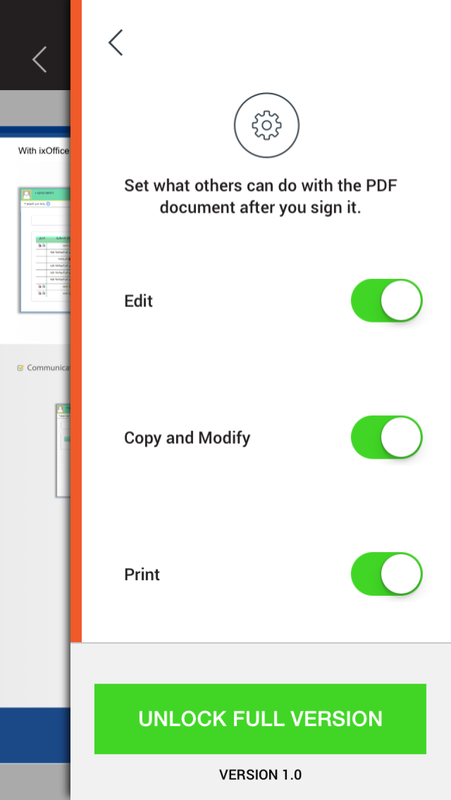 Every individual, manager, official, Employee, and executive. 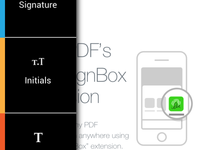 Add eSignature onto PDF's totally and privately within your iOS device with no cloud access, no registration and no account required. 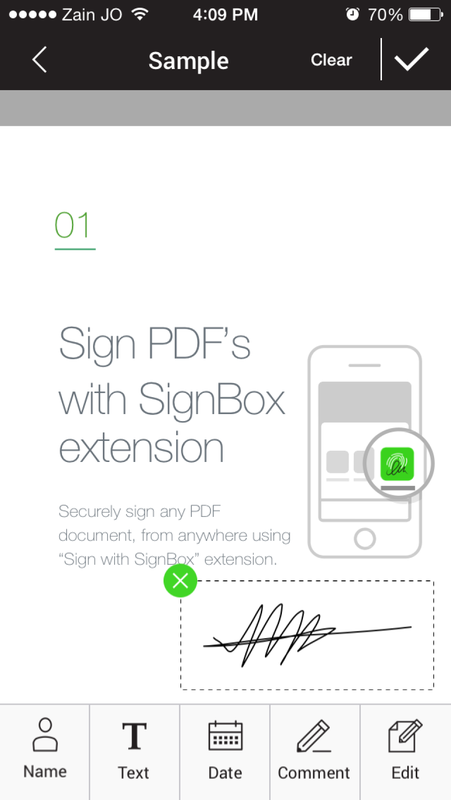 SignBox Securely and conveniently add your signature onto any PDF document that you have or receive from the convenience of your smart iOS device. 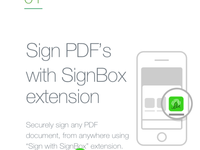 Seal your signature onto any PDF, from anywhere with SignBox extension. 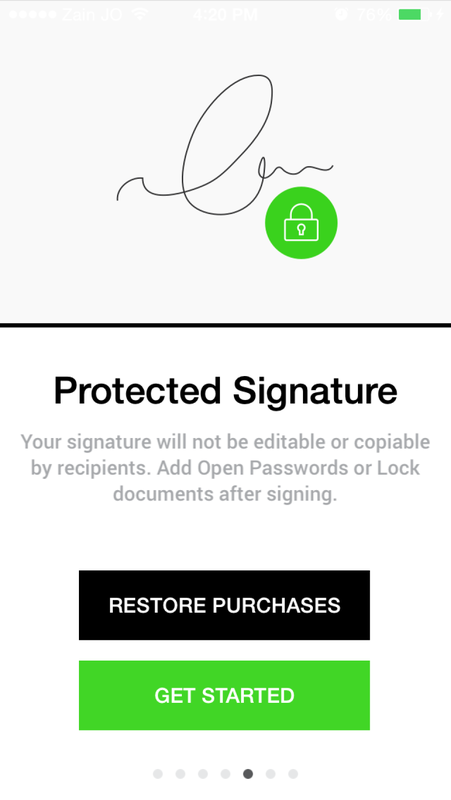 Use your TouchID to store, protect, and retrieve your Signature. 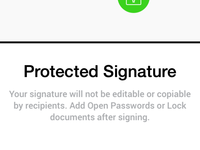 Comments: Signing documents has never been so easy, safe and secure. 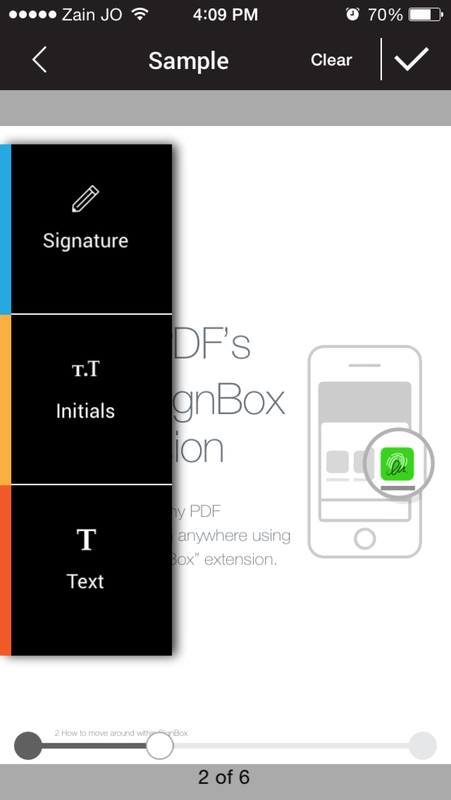 It meets all the signer needs. 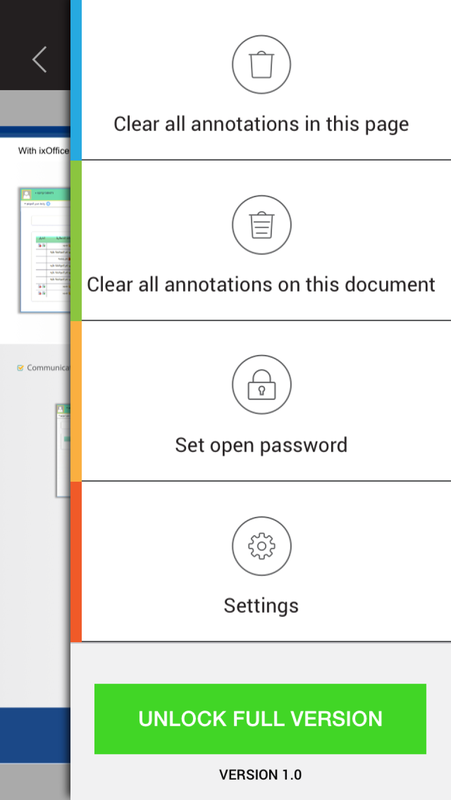 It has a very useful extension to use with other apps. 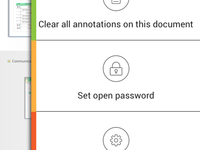 I highly recommend this application and its extension. Comments: It is easy and secure. 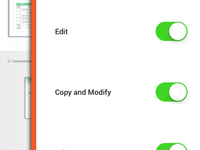 Everything is done on my iPhone in a PERFECT way. It is really MY SIGN BOX .